Here's the press release from HBO announcing a start date for filming on Season Two. 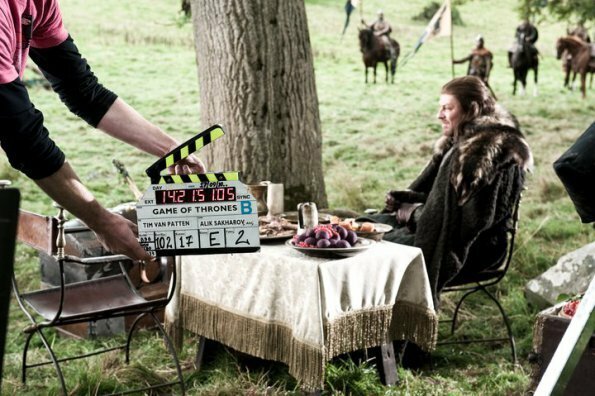 "Production for season two of the hit HBO series Game of Thrones is set to begin Monday, July 25. Once again, production for the series will be based in Belfast, Northern Ireland. The series will shoot at the Paint Hall Studio in Belfast, as well as various locations in Northern Ireland. Additional locations will be announced as they are confirmed. The production continues to receive funding from Northern Ireland Screen. Based on the best-selling fantasy book series by George R.R. Martin, the ten-episode first season of GAME OF THRONES launched April 17, exclusively on HBO, with the finale scheduled to debut Sunday, June 19. Casting, writers and directors for season two will be announced as soon as they are confirmed."